This morning I put my son in the bath tub. It was not because he needed a bath, mind you. It was because my house needed one. Basically, I put him in the tub so I could accomplish all the housework I cannot get done when he is, well, not confined to a play pen of water, toys, and fun. So, I cranked up the bubbles, threw in a bunch of plastic dinosaurs, and proceeded to scrub countertops, mop floors, make beds, clean toilets and put away laundry while he giggled and roared his morning away. I daresay he was in there for an hour or so, at least the temperature of the water and the pruniness of his little fingers would indicate that period of time. Sometimes, especially when we are working with kids, we don’t always use things for their intended purpose. For instance, we all know that toilet paper rolls are not for holding unused paper; on the contrary, they are for crafts of all kinds. 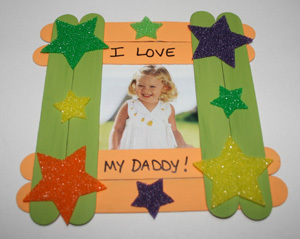 Popsicle sticks are not devices for holding sweet treats but actually critical necessities for making picture frames. And cottonballs… they have a whole plethora of uses like snowman bodies, sheep wool, and the ever-popular, paintbrush. For some reason, we have no problem taking these tangible items, misusing them for a good reason, and engaging children with our invention. 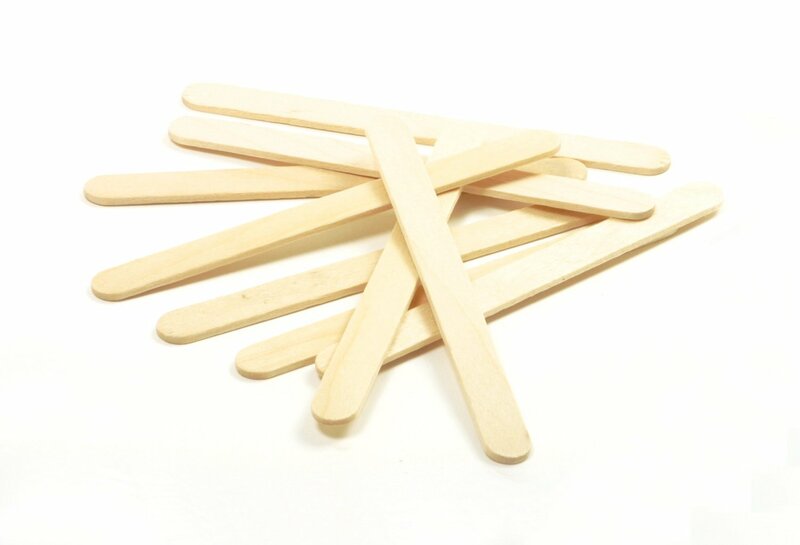 I still often feel like a popsicle stick in a cherry wood frame world, but I also know because God saw past my “intended purpose,” my degree, my preferences, my ideas of who I was, and used me for his “intended purposes” of ministry and discipleship, others have had a chance to grow closer to Jesus. Whether you are a parent who wonders sometimes, “Who thought it was a good idea to let me raise these children?! ?” or a minister who thinks, “I don’t have the gift to answer this call,” can I encourage you to look past yourself and let God be creative with you? Ultimately the point isn’t that we have the prettiest frame, but that our frame has meaning and purpose and was designed by the Creator. God can take us and use us in more ways than we can imagine if we just allow Him to stretch us outside of our perceived strengths and weaknesses. In ministry, be wiling to let God lead you outside tradition or curriculum in order to reach hearts and engage families in ways you can’t see right now. As parents, trust that God is the one painting the big picture and be intentional about hearing and sharing His voice in the everyday. Whether you see yourself as a cottonball, popsicle stick, or toilet paper roll, know that your Creator sees much, much more. He sees a bigger picture. He has a bigger dream. And He knows how to make you fit into your eternal intended purpose just by being you. Step out in faith and let Him do His work in you. Excellent! My call to ministry came as a total surprise to me. I’m sometimes still in awe/disbelief that HE could or would want to use me, but it’s a life I wouldn’t trade for ANYTHING! Thanks for the encouragement, Christina!